Expect to see a rip-roaring new range of apparel and gifts in dealerships over the coming months as Victory Motorcycles launches its 2017 line-up. For 2017 there’s a strong theme of ‘Victory performance’ stretching over many of the products from new leather and textile jackets to t-shirts, caps and car window stickers. There’s even a new category of ‘Man Cave & Garage’ featuring items such as coffee mugs, bar mats, beer glasses, coasters, metal signage and a garage bike mat. 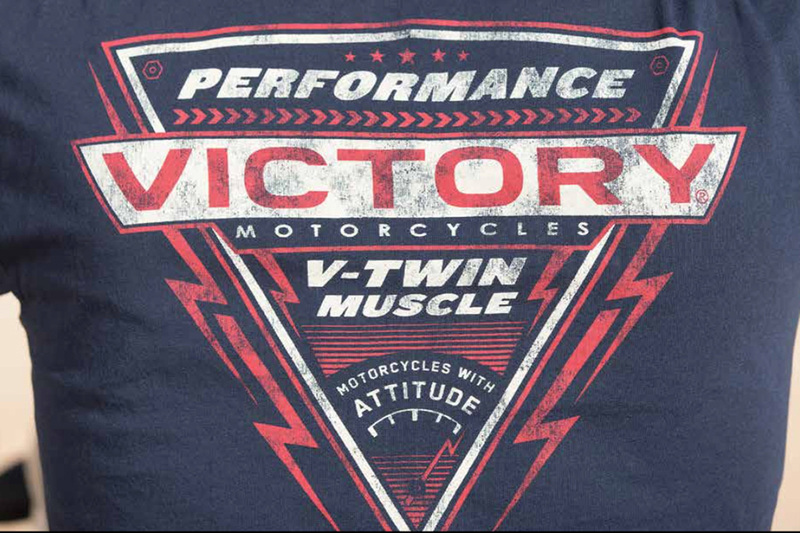 Victory is particularly proud of the new designs of T-shirts featuring graphics that shout out about V-Twin performance. There’s also the addition of a performance softshell jacket to the range, which is a hooded zip thru with a fleece lining and is made of 8% spandex for comfort. Elsewhere there’s a new leather jacket for men and women called the Ignite Jacket and two new mens textile jackets called the Challenger Jacket and the Bagger Jacket.